Centuries ago, the Isle of Branikdür was mysteriously abandoned by the ruling Hèlum Empire. Ever since, rival clans have battled for supremacy at the bidding of their sacred sorcerers. Tey Moonshine is a daughter of suffering, and she has fallen prey to the things that stalk the netherworld. Under the influence of a demon that hides within her marrow, she gouges a magical codex into her flesh, believing it will make her the greatest sorcerer the isle has ever known. Maimed from his accident and no longer able to fight, Snaith is apprenticed to the clan sorcerer, Theurig, and Tey is sent away from the village. As Snaith is thrust headlong into a sorcerer’s world of misdirection and control, Tey must master the darkness that possesses her, if she is to stand together with him against the coming storm. For the ripples of forbidden magic have roused the sleeping might of the Hèlum Empire. A war the clans can never win. And the fate of Branikdür lies in the hands of a warrior turned wizard and a deranged girl who grows more deadly by the day. 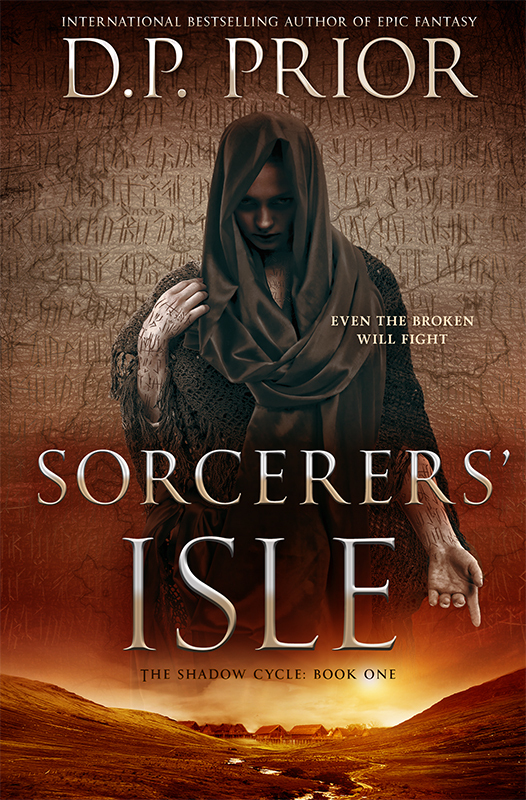 SORCERERS’ ISLE is a shocking tale of dark fantasy from international bestselling author D.P. Prior.